Minneapolis and St. Paul are home to many beautiful gardens, which are wonderful places to escape the city for quiet relaxation and serene beauty. Most are free to visit. Here's a list of public gardens in Twin Cities. The Japanese Garden was developed in partnership with St. Paul's sister city, Nagasaki. Nagasaki-based landscape architect Masami Matsuda designed the garden using Japanese design principles and Minnesota-hardy plants. Water, plants, and flowers together with sculpture and lanterns are used in a beautiful and harmonic way to create a serene, calming garden. Every August, the Japanese Garden holds a very popular lantern-lighting festival. The Japanese Garden at Como Zoo is open from May until September. Admission is free. The founder of Grain Belt Brewery, Frederik Noerenberg, build a home and surrounded it with European-style gardens on the shore of Lake Minnetonka. The estate was left to the Three Rivers Parks district, and at the request of the family, the home was removed and more gardens planted in its place. 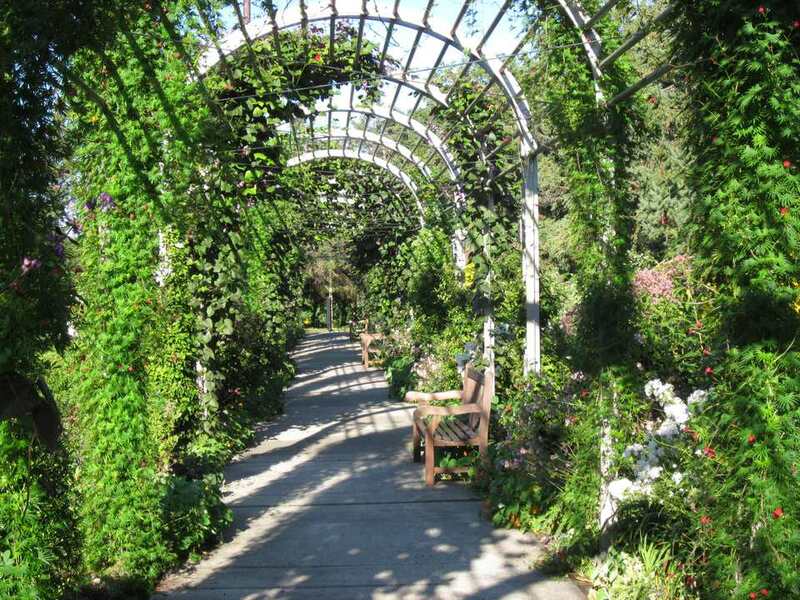 The Noerenberg gardens are renowned for their elegant beauty, and tranquility. Animals, food and drinks, swimming, and boat landings are prohibited in the garden, to maintain the serene atmosphere. The gardens are open daily from 8 AM until sunset, from May 1 until October 15, weather permitting. Admission is free. In Theodore Wirth Park, the Eloise Butler Garden and Bird Sanctuary is the oldest wildflower garden in the nation. It's home to thousands of migrating birds and over a hundred different plant species. The Eloise Butler Wildflower Garden is managed by the Minneapolis Parks and Recreation Board. The garden is open from 7:30 AM until one hour before sunset. Admission is free. Dogs are not permitted. The University of Minnesota owns and operates the Minnesota Landscape Arboretum, over 1100 acres of land in Chaska. As well as tree species, the Arboretum also maintains perennial and flower gardens, show gardens, vegetable gardens, wildflower gardens; as well as prairie land, wetlands, grassland, and woodland areas. Many miles of hiking trails offer the opportunity to explore, and there is a visitors' center with children and family activities, a restaurant, as well as exhibits and classes for gardeners of all ages and experience. Admission fees apply to visit the Minnesota Landscape Arboretum. Thursdays are free during the winter, and Thursday evenings are free during the summer. One of the few places where you'll see flowers in the depths of winter, and gorgeous tropical flowers at that. The Marjorie McNeely Conservatory has five flower shows every year, with seasonal themed displays comprising of thousands of flowers. Tropical gardens, koi fish ponds, sculptures, and the elegant wrought-iron and glass conservatory building itself together make a lovely place to visit. The Conservatory is open every day of the year. Admission is free, donations are accepted. Near Lake Harriet, the beautiful ornamental Rose Garden is a popular place for weddings. The Rose Garden is laid out in classical style, with fountains and sculptures amidst the roses. The Rose Gardens is the most well known of the Minneapolis Parks and Recreation's Lyndale Park Gardens, and close by the Rose Garden are a Peace Garden, a rock garden, an Annual/Perennial Garden and the Perennial Trial Garden. And Combine a trip to the Rose Garden with a walk around Lake Harriet, or a summer concert or show at the Lake Harriet Band Shell. Normandale College in Bloomington is home to a two-acre Japanese Garden, renowned for its serenity and beauty. A free self-guided tour of the garden's plants, ponds and structures are available. The garden is free to visit and is open year-round.